Today, I came across this post of a young British army soldier (above right) whose mother was worried of him going to Afghanistan in coming March. 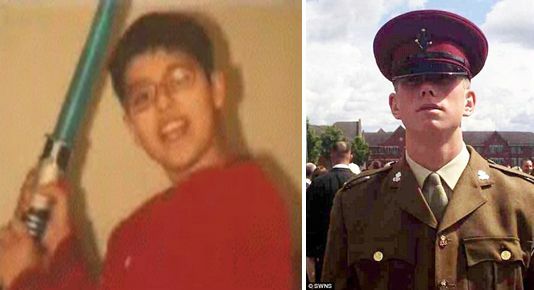 Edward Heal, a 19-year-old trooper in the Kings Royal Hussars and tank gunner, assured his worried mother of 50 that he would rather be killed by a car than dying in Afghanistan. Edward went out for a drink on Christmas Eve with his stepbrother Sam, 24, at the Bristol pub in Clevedon, Somerset. When coming out, he was hit by the Mazda in Kenn Road, Clevedon at 1.15am on Christmas Day. He was declared dead at the scene.